You know what's coming... winter!!! Hah, not really... this isn't Game of Thrones... it's Retail Review!!! And last week I bought two Target Excell Re-Packs. This makes three in the last three weeks, so it's a trilogy of sorts. I'm actually very excited to have found hobby Trilogy packs at Target for such a great price. I'm not sure if I'll find such a good deal again! I've gotten two Frozen in Time Trilogy insert cards in the last two packs of Trilogy. I said last week that if this next box contained one, I might assume that these packs were left-overs after all the hits had already been pulled. I actually don't mind getting the Frozen in Time cards though. They look great and are individually serial numbered. 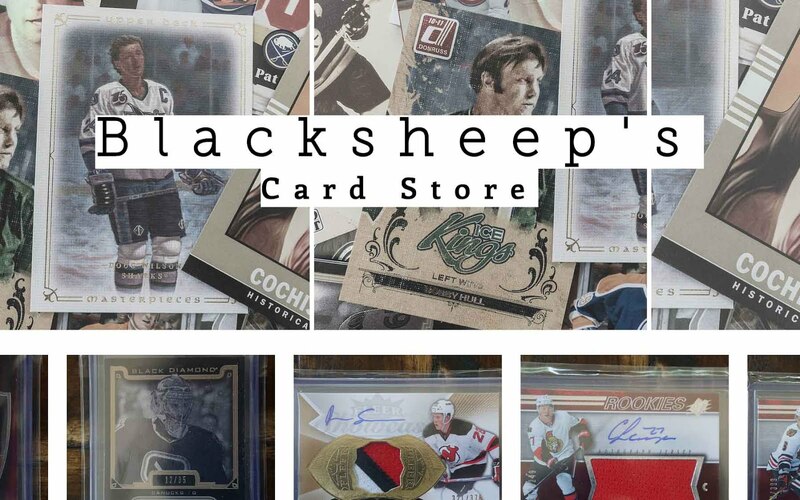 I would say that these inserts probably go for the same, if not more, than a standard jersey card would. To me, the Frozen in Time cards are the type of insert that show that companies care. I love to see cards that don't have memorabilia or autographs, but instead let the design and make of the card carry it. The answer to my question was 'no'! The Trilogy pack turned out to be much thinner than the previous two so I knew it would not contain the Frozen in Time card. The pack had to contain either an autograph or a memorabilia. I suppose it could have just held a numbered rookie, which it states on the pack, but for some reason I thought it would have a hit. And it was! I actually had a lot of fun looking through the various cards that came in this box of Excel. 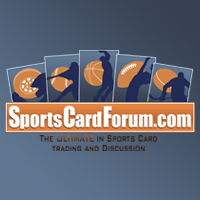 The 50 random cards were a hoot to sort through. As usual, it was a huge mash-up of stuff, but I have to say these ones were a bit more eccentric than the other two. Some of the older cards from brands and companies long gone made me laugh. The OPC and Collector choice packs were probably the least interesting cards included in the box. I would have liked to get something out of them, but I can't complain. I didn't really buy this re-pack for them anyways. 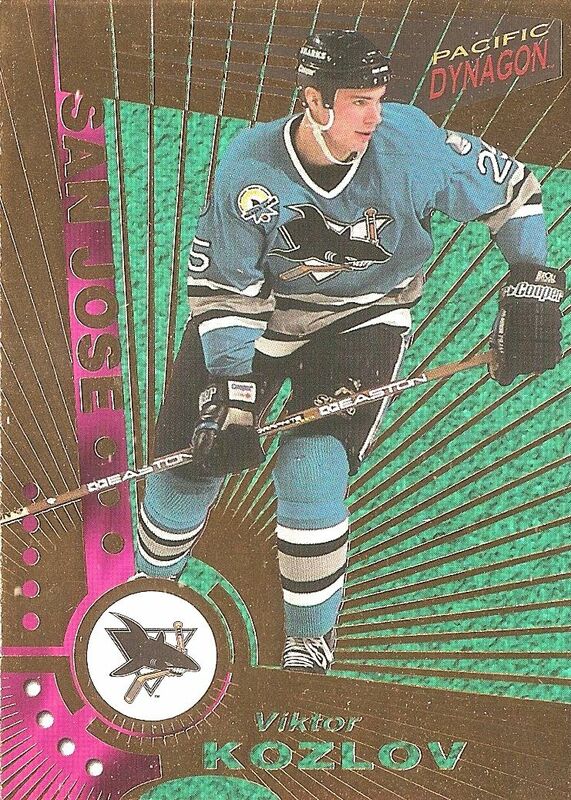 Wow, just check out all the crazy contrasting colors on this card. And they're all highlighted with thick gold foil to boot! Sometimes I miss the days when card companies put out products that could almost make you go blind! So much fun! Pro Set cards are probably best used for kindling... but this card stood out to me. 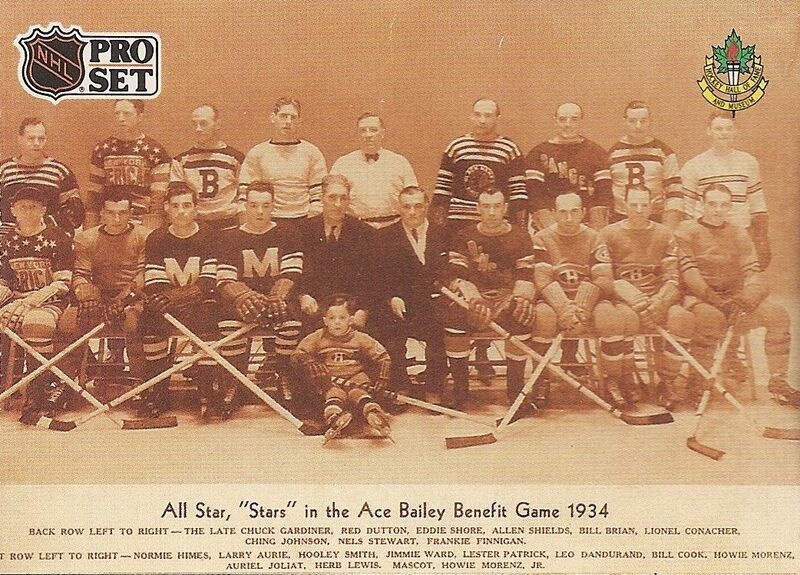 It's just not something you see everyday - a photo of the first all-star hockey game. It's amazing to see this piece of history on cardboard and read a little about it on the back. Though Pro Set will never get any hobby appreciation in terms of value, some of the cards are pretty unique and worthy to look at. 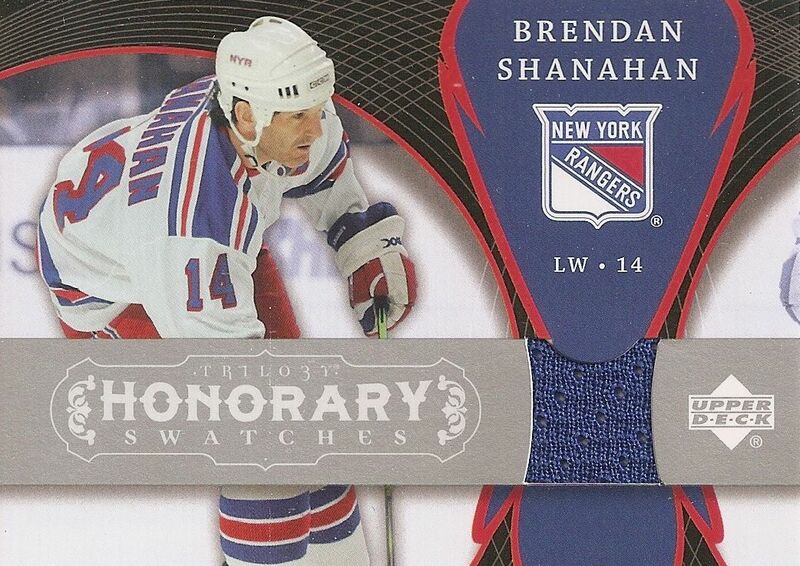 The hit in my Trilogy pack was this Brendan Shanahan jersey card. Yes, it's 'just' a jersey card, but that's still very good considering the type of product I pulled it out of. Notice the tiny swatch on the card... they really skimped back then! Shanahan was a great player in his day, and now he continues his work for the NHL as the head of player safety, so he still has a very significant role to play. 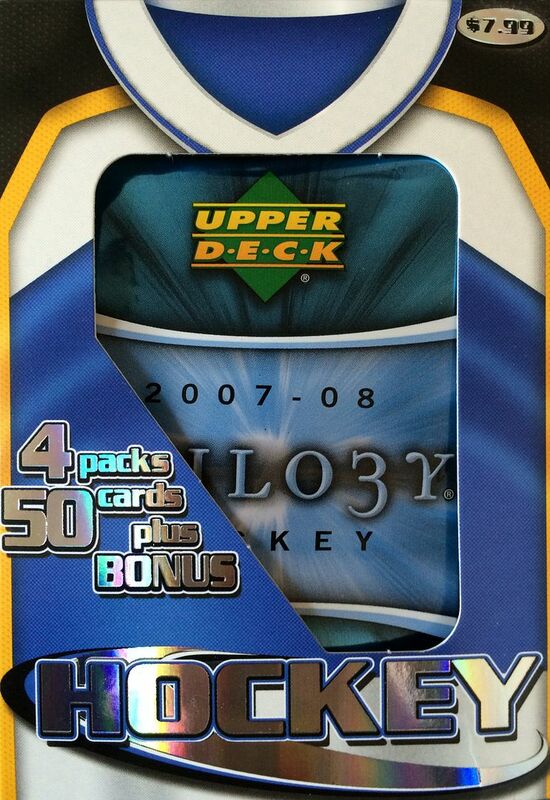 With the pack of Trilogy in this box, I have to say that this was of great value. I've said it before, but you just have to look at these retail re-packs and see if you can find some hidden gems. 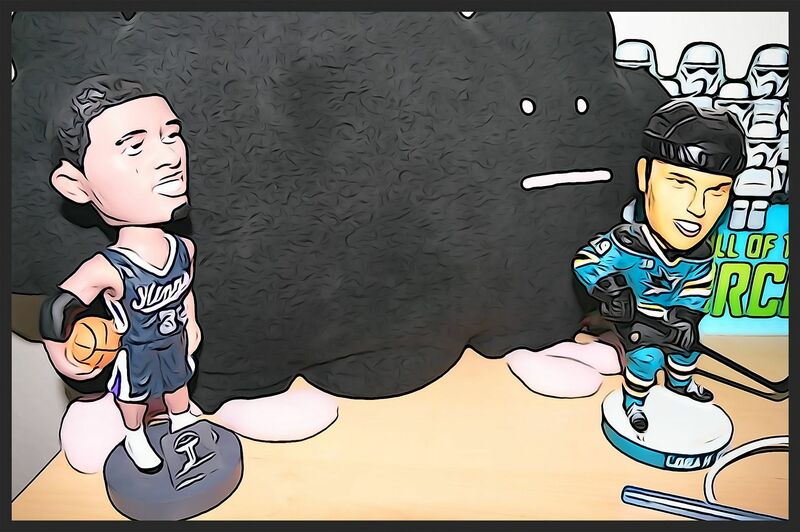 The people who put these together aren't looking out for your best interests, just your money... but every-so-often, they can flub up and put something in that collectors may actually want and enjoy getting!